ScreenSteps allows you to work with multiple libraries. This lesson will show you how to switch between different libraries while working in ScreenSteps. One thing to note is that ScreenSteps will always open the library that was opened when ScreenSteps last quit. 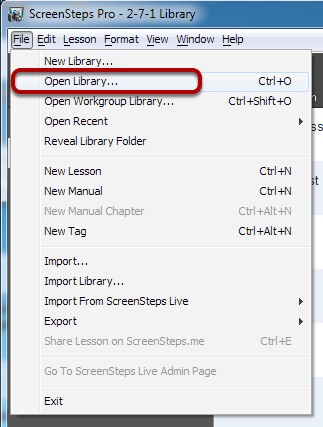 Select a ScreenSteps library folder (1) and click OK (2). 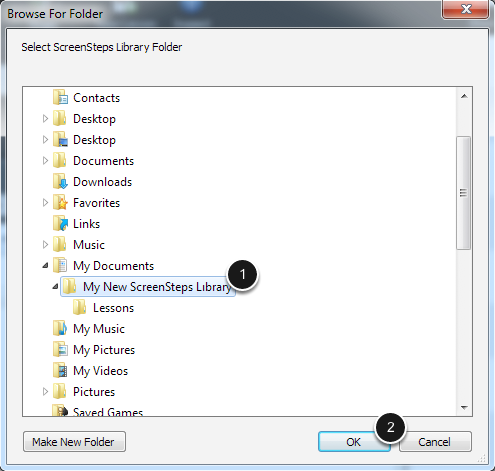 Note: A ScreenSteps library folder will have a Library.data file and a Lessons folder inside of it.